We can assist you with Life Insurance Approval with Emphysema! Have you been declined for life insurance due to Emphysema? Can Individuals with Emphysema Qualify for Life Insurance? Yes, most individuals with Emphysema will be able to qualify for traditional life insurance, the type of insurance which requires a medical exam. You may have difficulty qualifying for traditional coverage with a severe case of Emphysema, but could be eligible for a graded death benefit policy. 1. How many years since you were diagnosed with Emphysema? Early diagnosis of Emphysema with evidence of full recovery and absence of symptoms may get the best rating at “Standard.” Long-term Emphysema, on the other hand, with less incidences of labored breathing or coughing symptoms may qualify for a “Mild Substandard” rating. 2. How many years have you been smoking and how many sticks or packs a day did you consume? Smoking has been closely associated with the incidence of developing Emphysema. So, the longer the number of years of smoking and the more pack years you have, the less chance you can get a good rating. 3. Have you stopped smoking? This is one of the most important questions that will establish your health class. If you have stopped smoking it will be shown in your laboratory tests as an improved pulmonary function test and less manifestations of the symptoms of shortness of breath and labored breathing. If, however, you are still smoking right now, the best rating you may get is at “Severe Substandard” or worse you may get a decline for it. 4. How many times do you experience Emphysema symptoms in a period of one year? The less frequent the Emphysema symptoms are, you get a better chance of getting a good rating. Frequent attacks may be a sign of a severe case of chronic Emphysema and may need further evaluation. 5. Are you taking any maintenance medications? Usually, Emphysema requires medications like bronchodilators and steroids to control the airway obstruction and sputum production. Compliance to medications will decrease the chance of further disease progression and lung damage. These cases have a good chance of getting a “Mild Substandard” or “Medium Substandard” rating. 6. Are you or is anyone in your household smoking? Smoking is a very common cause of Emphysema attacks, so if you or anyone is smoking it means symptoms may be frequent than usual. This may get you a “Severe Substandard” rating. 7. Have you had any relevant diagnostic tests within the past six months? Recent laboratory and diagnostic tests may include chest X-ray, lung MRI or pulmonary function test. 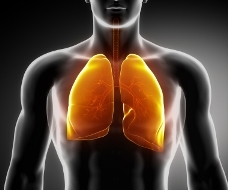 These are the best methods to assess the actual condition of your lungs. Emphysema is a condition classified as a chronic obstructive pulmonary disease (COPD) because the airflow obstruction during the height of the symptoms is not fully reversible. Emphysema occurs as a result of swelling or destruction of the small air sacs called lung alveoli, which is an important structure of the respiratory system, because this is where gas exchange takes place. Symptoms of Emphysema include frequent coughing, excessive sputum production, shortness of breath, labored breathing (especially during exhalation) and in severe cases bluish discoloration of the skin and nail beds due to lack of Oxygen supply.